In my sign up,I made an error putting http twice, how do I go back and correct that, don’t think the process has completed.? That’s very simple – just follow the instructions from the start again. Thanks for coritibutnng. It’s helped me understand the issues. Tip: The import initially failed for me. I then noticed that at step 3 of the process “Import your data” the website name suggested by Statcounter was capitalised (e.g. “MyProject.com”. When I changed this to all lower case (as per the site name in Google Webmaster Tools) the import worked. Thanks for the feedback on this. I’m sure this will help others. 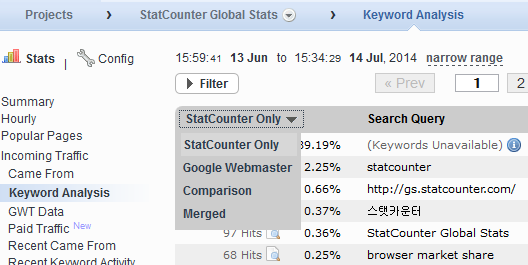 The website name suggested by StatCounter is taken from your project settings. The domain you submit must exactly match and is case sensitive to what you have in your GWT account. Hello Everyone. I have tried this integration but the most of the result is showing “Encrypted Keyword” so it is not very helpful to me. but nice feature to have like this. That doesn’t sound right. Please send a ticket in to support so we can investigate. Great work! 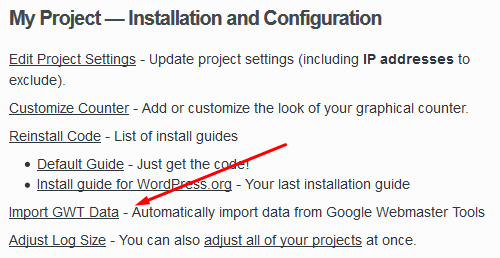 It is nice to have GWT integreted! Hi, one of my sites in GWT is configured with “https://” before the URL and I’m not able to import the keyword data although I’ve added the authorisation email as a Restricted user. Thank you for your reply. I’ve already submitted a support ticket as requested. Looks like I have done this successfully! 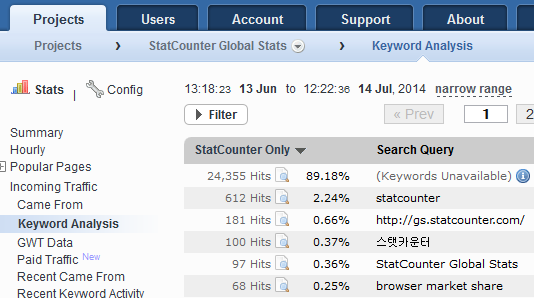 Fantastic – we hope you enjoy your integrated stats! 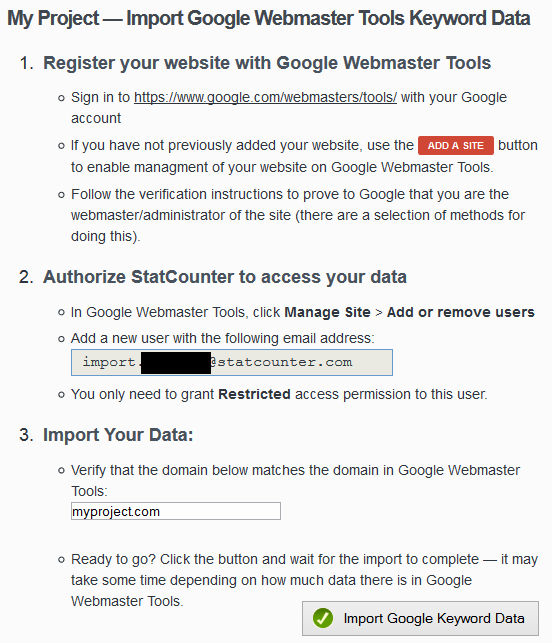 Hi, I’ve had the message “Initial import of Google Webmaster Tools data not yet complete. Check back shortly” for over 24 hours now, is this normal and I need to keep waiting or is there a problem? Many thanks for a great site.